A & M Limousine Corp.
Shared-Ride Van Service provides transportation services to and from the Atlanta central business district: Downtown, Midtown and Buckhead. Shuttles leave every 15 minutes from the Airport from stalls 3 through 10. Local Shared-Ride Shuttles run approximately 15 minutes in between trips and provide service to cities in Clayton, Cobb, DeKalb, Fulton and Gwinnett counties. For a list of communities, click here. Most shared-ride shuttles pick up on the Green Bus Aisle, which is outside in the Ground Transportation area between the Domestic North and Domestic South Terminals. Contact the company directly to ask questions or make reservations. Regional shared-ride shuttles, which depart every 30 minutes to an hour, provide service to areas outside of the five metro Atlanta counties and states bordering Georgia. For a list of locations, click here. A number of hotels surrounding Hartsfield-Jackson Atlanta International Airport provide free shuttle service to and from the Airport. Hotel shuttle service is available on the Purple aisle in the Ground Transportation area at the west end of the Domestic Terminal (West curb). The West curb is outside between the Domestic North and Domestic South terminals. For arrival or departure times of your shuttle, pick up a courtesy phone inside the Airport near baggage claim or outside in the Ground Transportation area. More than 300 companies provide limousine service to and from Hartsfield-Jackson Atlanta International Airport as well as to areas surrounding the Airport. Many companies offer stretch limousine and executive car service, while others provide executive car service only. Contact the company directly to make reservations or to ask about additional services. Once you have made a reservation, your driver will either meet you inside the terminal near the atrium or curbside on the south lower level. The pickup process should be explained when you call to make the reservation. All limousine service must be arranged in advance. Any state-licensed limousine company is allowed to drop off passengers at the terminal curbside. Flat rate zone to and from the Airport. $2 charge for each additional person. Flag Drop Fee $ 1.50. Rates computed by a meter. Flag Drop Fee $1.50. Effective August 16, rideshare drivers will pick up passengers at the North and South economy lots, which are a short walk from baggage claim. Passengers will proceed through baggage claim toward the Georgia Lottery booth for access to the lower-level escalators. Once downstairs, follow the orange signs to the Economy lot and request a ride only after arrival at the pick-up location. Amtrak is at 1688 Peachtree St. NW in Atlanta. The phone number is (800) 872-7245. For door-to-door services to Amtrak, call A-National Management Services at (404) 941-3440. To schedule reservations, call (404) 941-3441. Monday - Friday: 8 a.m. to 10 p.m. The Rental Car Center (RCC) is a one-stop facility that houses 13 rental car brands and vehicles for ATL guests. Operating 24 hours a day, seven days a week, the RCC is just a few minutes away from ATL via the SkyTrain, an electric-powered automated people mover system that connects the Rental Car Center to additional parking and the Airport. The SkyTrain also serves the Georgia International Convention Center,the Atlanta Airport Marriott Gateway ,SpringHill Suites Atlanta Airport Gateway , and opening in May 2017, the Renaissance Atlanta Airport Gateway Hotel. In addition, the International Terminal Shuttle provides service between the International Terminal and the Rental Car Center, and runs approximately every 15 minutes. The center is located at 2200 Rental Car Center Parkway, Atlanta, GA 30337. To access the center from the Airport, walk out of the West end of the terminal under the covered walkway. Take the escalator up to the SkyTrain station and take the train to the Rental Car Center. The ATL SkyTrain provides complimentary transportation for more than 5 million guests annually. Powered by electricity, this automated people mover system operates 24 hours a day, seven days a week. It connects to the GICC, the Atlanta Airport Marriott Gateway, SpringHill Suites Atlanta Airport Gateway , and the Renaissance Atlanta Airport Gateway Hotel. In 2009, the SkyTrain replaced diesel-powered shuttle buses, resulting in reduced traffic on area roadways, reduced vehicle emissions and convenient transportation. You MUST be permitted to apply for a Ground Transportation permit at the airport. NOTE: Any existing company whose Ground Transportation permit has expired will be required to start a new permit application. Please attach a letter of intent on a company letterhead describing the type of transportation service you intend to provide to the airport. Complete the GT New Permit Application form for the desired permit listed below. Please type your information and ensure you submit the required business plan as indicated. Please type your information and print a copy to submit with your application. Save the file on your computer for your records and for future staff revisions. Complete and submit notarized Affidavit which is required to conduct business with The City of Atlanta. One (1) photo of the front of the vehicle. One (1) photo with the side view of the vehicle. Markings must be visible in the photo (e.g. company information, authorities; DOT#, GPSC#, etc.). All vehicles except limousines are required to have permanent markings. Magnetic signs are NOT permissible. One (1) photo of the rear displaying the vehicle's current license plate. Ground Transportation will contact you to schedule an appointment. Please make preparations to pay the annual permit fee upon approval. Bring applicable receipts for payment to the appointment. Payment of all applicable fees including, but not limited to invoices, citations and liquidated damages, must be paid before the permit can be approved. IMPORTANT The permit is not valid until you receive written notification from Ground Transportation advising that your permit is approved and complete. You are not authorized to conduct commercial operations at Hartsfield-Jackson Atlanta International Airport until you receive this written notice. You may be subject to fines, denial of your permit and other corrective actions if you operate without authorization. ATL Enforcement (formerly known as Vehicles For Hire) promotes compliance with all applicable laws, rules and regulations supporting for-hire and traffic management operations at Hartsfield-Jackson Atlanta International Airport. 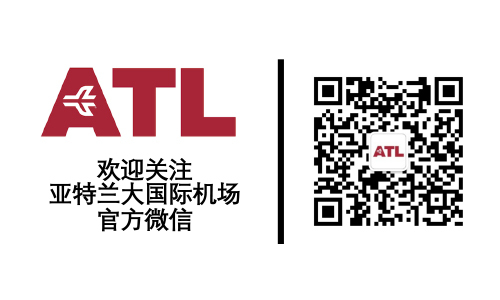 Enforcement works with key stakeholders – including ATL ground transportation, Atlanta Police Department, vehicles-for-hire industry, operators, business leaders and the tourism industry – to implement the highest standards of service. Enforcement undergirds the Airport’s efforts to provide visitors and travelers with easy access to safe, reliable and clean taxicabs, rideshares, limousine and shuttle services. The department regularly performs targeted vehicle inspections, issues citations, enforces towing and provides pedestrian and vehicular traffic management at Hartsfield-Jackson. All applicable State and local laws, regulations and rules. Public invited to attend scoping session on Noise Exposure Maps. Copyright © 2016-2018 City of Atlanta | All Rights Reserved.